Obviously. Ms. Spalding’s hair is the best feature of this look. GET INTO IT! There are going to be FAB Girls with natural hair going to prom, and this look is the bee’s knees. I mean, this is bohemian formality at its finest. And yet, she looks as stunning and beautiful as the other Oscar attendees, with a fraction of the fuss. Her hair, her dress, her cuff…..all perfect for prom. Continue for some similar fabulosity. Keri Hilson wore this turquoise dress with pretty accents to the 2011 Grammys, and it was one of my favorite looks on her to date. Because the dress makes its own statement, few accessories are needed. Her makeup is very pretty, with a smoky eye and natural lip, and she’s paired the dress with a pair of strappy sandals and sparkly clutch. As always, we’ve scoured the web for frocks inspired by Miss Keri. Without the caption from TheYBF, I wouldn’t have even known this was Ciara! She, like Rihanna, has gone totally blond with long windswept tresses. I’ve always thought she was a pretty girl, and I think she looks gorgeous. But this is about what you think. So, vote or share your thoughts in the comments! No Poll Necessary: Gwenyth Paltrow, Girl, Bye! Nicki Minaj:FAB, Girl! or Girl, Bye? Nicki Minaj, who is technically a FAB artist, thought it would be a good idea to get painted blue for Vogue magazine. We think she looks like Smurfette’s sister from another mister. Take the poll or let us know your thoughts in the comments! 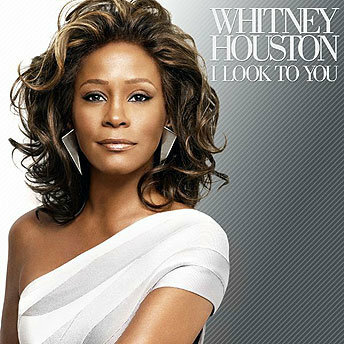 In sad news, the world lost a FAB Icon in Whitney Houston. Known for her golden voice, the songstress had a catalog of songs that has provided the soundtrack for millions of lives. May she rest in peace. Tell us your favorite Whitney Houston song in the comments.